What's all the fuss about St. Patrick anyway? Who was St. Patrick really? Patrick preached about Jesus Christ, spread Christianity across the British Isles, and spoke out against slavery. Some historians even call him the world’s first abolitionist! Chicago is also famous for dyeing the Chicago River green. The tradition started in 1962, when city pollution-control workers used dyes to trace illegal sewage discharges and realized that the green dye might provide a unique way to celebrate the holiday. That year, they released 100 pounds of green vegetable dye into the river—enough to keep it green for a week! Today, in order to minimize environmental damage, only forty pounds of dye are used, making the river green for only several hours. Although Chicago historians claim their city 's idea for a river of green was original, some Savannah natives believe the idea originated in their town. What about corned beef and cabbage? About 41.5 billion pounds and 2.6 billion pounds of U.S. beef and cabbage, respectively, were sold in 2007. Corned beef and cabbage is a traditional St. Patrick's Day dish. The corned beef celebrants eat on St. Patrick's Day may very well have originated in Texas, which produced 6.8 billion pounds worth of beef, while the cabbage most likely came from California, which produced 581 million pounds worth, or New York (580 million pounds). And, a little Irish Soda Bread for ye? Irish Soda Bread gets its name and distinctive character from the use of baking soda instead of yeast as the leavening agent. There are 4 places in the United States named Shamrock, the floral emblem of Ireland. Mount Gay-Shamrock, W.Va., and Shamrock, TX, were the most populous, with 2,623 and 1,841 residents, respectively. Shamrock Lakes, Ind., had 162 residents and Shamrock, OK, 125. Yep! Who wudda thunk right here in the good ol' USA is Emerald Isle, NC, with 3,686 residents! A total of 4.8 million immigrants from Ireland have been admitted to the U.S. for lawful permanent residence since fiscal year 1820, the earliest year for which official immigration records exist. By fiscal year 1870, about half of these immigrants were admitted for lawful permanent residence. Only Germany, Italy, the United Kingdom and Mexico have had more immigrants admitted for permanent residence to the United States than Ireland. Everybody's Irish on St. Patrick's Day! Patrick's mission in Ireland is said to have lasted for thirty years. It is believe he died in the 5th century on March 17, which is the day St. Patrick's Day is commemorated each year. 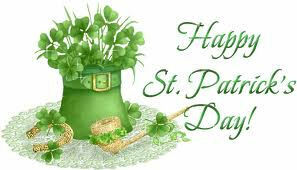 The first year St. Patrick's Day was celebrated in America in 1737 in Boston, Massachusetts. The first official St. Patrick's Day parade was held in New York City in 1766. As the saying goes, on this day "everybody is Irish!" Over 100 U.S. cities now hold Saint Patrick's Day parades. Have a great St. Patrick's Day and give the kids just a little history of the "green day" while you're stirring up something special and green in the kitchen today! Hey, all my little leprechauns... 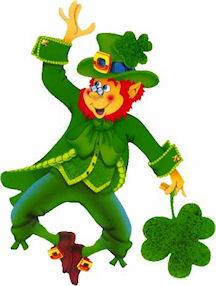 Being "green" is not as hard as it sounds and celebrating St. Patrick's Day is always fun! So let's celebrate the "wearing of the green" with Slurpee Shamrock Shakes! This very easy one needs adult supervision for operating the blender... but let the kids dump the ingredients in and scoop the ice cream! Don your aprons for the green "splatter factor"... or, you could be really wearing green! Oh, and I suggest that you allow each child to make their own shake... it will only take a few more minutes. 1/2 cup green mint ice cream. Have the kids peel the bananas and break them up in pieces... dump them in the blender. Let the kids measure out the milk... good practice for them... and a little hint here... use a large, 4-cup clear measuring cup... it will help prevent spills and also teaching the kids to shoot for exact measurements. And, they can see what they're doing! Now, let them scoop out the ice cream and smash it into a 1/2 cup measuring cup... yes, let them cheat just a tad with a bit extra... and plop the ice cream in the blender. The adult helper is always in charge of the blender and can allow the kids to push buttons (your call on this one... but safety is always first)! The shake only needs to be blended and it will take about a minute (depending on your blender)... you want it smooth and creamy. If the kids like thicker shakes then let them put in more than 1/2 cup of ice cream. If you have any green sprinkles around... pour the shake into a glass and top with green sprinkles... it's magical... watch out for the leprechauns! 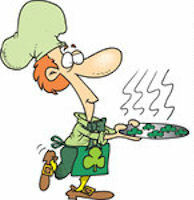 Happy Saint Paddy's Day and Happy Cooking! Grab your aprons! We're going to make Pumpkin Pizza for Halloween... It's a fun spinoff of pumpkin pie and very "kid friendly!" Kids, let's head for the kitchen! * What you need (gather these things and utensils before you start... well, at least before the kids hit the kitchen! * Learn more about foods and how different foods can be used... for instance, pumpkin isn't just for carving... and it isn't just for pies! * If you have more than one child cooking, they will learn about "taking turns." * Kids will be developing their imaginations without even being aware of it! * Learning patience while the pizza cooks and cools. 1. Preheat oven to 350 degrees. Have cream cheese at room temperature for easier mixing. 2. Cover a large cookie sheet with aluminum foil. Grease foil well with cooking spray. 3. Roll out cookie dough into a 12-inch circle... no, it doesn't have to be "perfect"... let the kids do it! 4. Bake in pre-heated 350-degree oven for about 15 minutes or until just lightly browned. 6. Place the cookie sheet on a cooling rack to cool. 7. Begin cleaning up the mess and washing the dishes while the pizza is baking... yep, let the kids do it! This is a very important part of "organizing" and learning ALL about cooking. 8. While the cookie pizza is cooling... In mixing bowl cream the cream cheese... this may be a step for the "adult sous chef" to show the kids how to use a hand mixer and talk about safety in the kitchen. 9. Blend in canned pumpkin and let the kids stir it into the cream cheese... if a spatula doesn't work for them... give them an old-fashioned wooden spoon! 10. Add the powdered sugar... step back... if you add it all at once there will be clouds in the kitchen! This is a great place to demonstrate patience by adding little bits of powdered sugar at a time. 11. Stir in the light brown sugar along with the pumpkin pie spice and cinnamon. Be sure to let the kids do the measuring! It's a good time to show them how to level off spoonfuls... but don't forget... our grandmothers and great-grandmothers didn't use measuring spoons very much... it was a pinch here and a pinch there and a handful here... so don't worry if they don't get it perfect. 12. When the pumpkin pizza is cool, peel off the aluminum foil and place it on the large, round serving plate. 13. Spread the pumpkin mixture on the pizza... decorate as desired with the decorator cake icing, outlining a mouth and eyes and using the green icing for a stem. The candy corn can be used to fill in for teeth in the mouth. Serve while warm... like pumpkin pie... you could even add a dollop of ice cream or whipped cream! MOST OF ALL... have fun! Please write me and tell us all how your pumpkin pizza turns out! Jan McCracken, Culinary Coach & "Adult Sous Chef"
When the kids are in the kitchen it's a great time to teach them multi-tasking... cleaning up while goodies are baking... and reading while a special dish is baking... and sharing a little history about the time of year and the holiday that you're celebrating with food. Long ago Valentine’s Day was called “Bird’s Wedding Day”. It was then believed that birds selected their mates and began breeding the second week of the second month or February 14th! The celebration of Valentine’s Day began many years ago with the custom of the Feast of Lupercalia in ancient Rome. This Feast was a celebration of fertility and was celebrated on February 15th. One of the ancient customs of this festival was a love urn. On this special day in February, young maidens wrote love messages and placed them in the love urn. The young, unmarried men then drew the messages from the urn and courted the young girl whose message he received. As the story of Saint Valentine goes, there was a man in ancient Rome named Valentine who was a physician practicing medicine out of his home. Valentine was a kind hearted man taking great interest and care in his patients prescribing medicines of herbs and roots. At that time in history, religion was a very controversial issue with many being persecuted for their beliefs. However, Valentine was a very spiritual man with religion being a significant part of his life. In his medical practice, Valentine would often offer prayer for the health of his patients and loved ones. As the story goes, there was a jailer for the Emperor of Rome who had a blind daughter. The jailer heard of Valentine’s healings and brought his blind daughter to him for treatment. Valentine examined the small girl and prescribed some ointment for her eyes. The jailer faithfully continued to bring his little girl to Valentine for treatment with no improvement. One day Roman soldiers arrested Valentine, destroying all of his medicines. Admonishing him for his religious beliefs, Valentine was taken to jail. When the jailer learned of Valentine’s arrest he was distressed but could do nothing! Valentine knew he would be executed and requested a paper, pen and ink. Valentine wrote a note and handed it to the jailer requesting that the jailer deliver the handwritten note to his blind daughter. Valentine was martyred on February 14, 270 A.D. The jailer’s spirit ached as he arrived home. He handed the little blind girl the note from Valentine with the handwritten message, “From your Valentine”. Upon opening the note, the little girl found a yellow crocus tucked inside—at that moment a miracle occurred and the little girl saw beautiful color for the first time in her life—her eyesight was restored! February 14th was named Saint Valentine’s Day in 496 by Pope Gelasius I. In the sixteenth century the paper Valentine appeared with sentimental verses. By the late 1800’s delicate lace papers accompanied sentimental verses for Valentine’s Day. 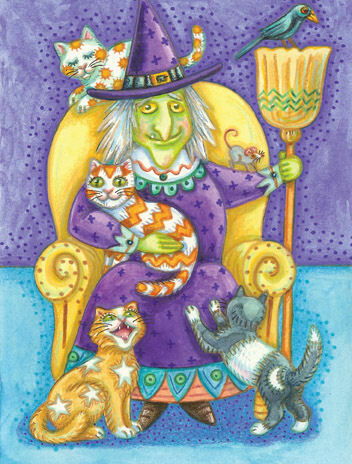 Today all types of Valentine cards are exchanged showing love and affection of February 14th. May the true miracle of Saint Valentine’s Day bless you! As Spring brings the little crocus popping their heads through the snow, may it be a reminder of the little girl in ancient Rome and bring a new meaning to your spirit and your heart of Valentine’s Day—Will you be my Valentine? Note: This is an excerpt from one of the Little Books of Tea that I wrote... 18 Little Books... soon to all be on Amazon in ebook format. I'll let you know when all 18 Little Books of Tea are available for download... they are fun and quick reads with great recipes! Instant Strawberry Hearts for Valentine's Day! A great snack for the kids to create almost by themselves... it's a Valentine Muffin! The adult helper can split the English muffin in half and the kids can place them in the toaster or the toaster oven. Let the muffins cool slightly to touch. While the are cooling a bit, the kids can rinse their BIG strawberry and pat it dry with a paper towel. Then let them use a "child safe knife" and cut the strawberry in half forming a magical heart! Spread cream cheese on the muffin and place the "heart berry" in the middle. For extra pizzzazzz of the day, you might have some small heart-shaped paper doilies in the pantry. A perfect way make this snack a true Valentine celebration by placing the doily on the plate (let the kids do it!)... and then placing the Valentine muffin on the doily. Who said that special treats have to be difficult? President's Day has become one of those "floating holidays" and we combine all of the past President celebrations on that day... however, I'm an old-fashioned girl and I still like to recognize Lincoln on his birthday and Washington on his birthday. So, here's a a really easy way to make Washington's birthday special for the kids. While you're making these special Cherry Brownies, you might want to do a little research and give the kids some of the fun history of George Washington and the cherry tree. Have fun with this and Happy Birthday, President Washington! In a mixing bowl, dump in the brownie mix. Measure and add the oil. Break eggs in a separate small bowl or cup. Add eggs. Stir well. Add cherry pie filling and stir until blended into brownie mixture. Note: Reserve some cherry pie filling to use as a topping on the brownie, if desired. Use a 13" x 9" baking pan. Grease the bottom only. Note: If you prefer a spray oil that will work or have the kids put a small amount of oil or butter on a piece of waxed paper and let them rub it all over the bottom of the pan... this on is much more fun! Pour batter into pan and spread evenly. Bake at 350 degrees for 30 to 35 minutes. Be careful not to over bake and dry out the brownies! Insert a toothpick to test. 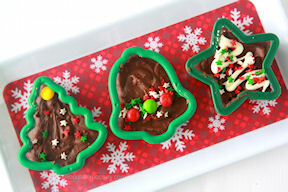 While the brownies are till hot from the oven (yes, the adult helper needs to do this!)... sprinkle the top of the brownies with the chocolate chips. Spread them around and they will melt. Top the brownies with fresh whipped cream, or... if you want it to be very special, serve the brownies warm with a scoop of vanilla ice cream and top with a small amount of the cherry pie filling. Stick a small American flag in the middle for a real George Washington birthday celebration! How do you say Happy New Year in Chinese? "Congratulations, may you be prosperous." "Xin [sing] Nian [nee-an] Kuai [kwai] Le [ler]"
The Cantonese, "Gong Hey Fat Choy" is the most popular and probably the easiest for the kids! Please keep in mind that there are more than 150 dialects in China so there are many different greetings that mean the same thing. When I was in China, people in Northern China didn't understand people from other provinces in China! The kids might also have a lot of fun trying to draw the Chinese characters for "Happy Chinese New Year"... just do a search online and print out the characters. If you have a light box, it's really fun for them to trace them and then go over the characters with a colored marker! All great learning experiences as we teach our kids to take a glimpse into other cultures and learn what little friends around the world are celebrating. 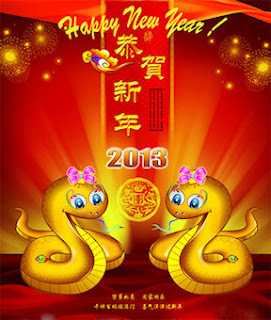 May you all have a happy and prosperous Year of the Snake 2013! 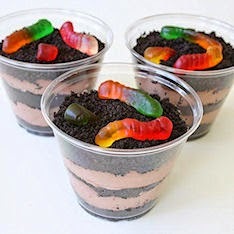 These are sooooo easy and the kids will love them. Celebration of looking forward to a year of prosperity, food is very important on Chinese New Year... these are drop cookies but because of the Chinese noodles, they resemble "nests." The Chinese prepare some foods in the resemblance of nests as a sign of prosperity for the New Year! Be sure to talk about these fun little bits of history when you're baking the cookies... the kids will love hearing about new things! Line both cookie sheets with wax paper; set aside. Melt the butterscotch chips in a microwave-safe bowl until smooth or in a bowl on top of a simmering pot of water. Fold in the chow mein noodles to coat completely. Gather scant tablespoons of the mixture and drop onto the prepared sheet pans. Refrigerate until set, about 5 minutes. Have fun cooking for Chinese New Year with the kids! Fun for celebrating Chinese New Year! Fortune cookies are fun to make and a sure way to get the creative juices running in the kids as well as some good laughs making memories in the kitchen. Chinese New Year is all about “good fortune” for the coming year so what better way to celebrate than to make your own fortune cookies! Have the kids write their fortunes on strips of white paper (pieces about 4 inches x 1/2- inch). Preheat the oven to 400 degrees. Grease two cookie sheets and set aside. Adult helper, please beat the egg white and vanilla until foamy but not stiff with an electric mixer. Have the kids do the measuring and left them sift the flour, salt, and sugar and fold gently. Then they can fold the dry ingredients into the egg white mixture. Kids love learning the "folding" skill! Place a teaspoonful of the batter onto one of the prepared cookie sheets, and tilt the sheet to encourage the batter to form into a nice round shape about 3 inches in diameter. Repeat, leaving at least 2 inches between the cookies, and sticking to no more than 2 or 3 per sheet as you will need to work with them quickly while they are hot. DO NOT let the kids work with the hot cookies! Put the first sheet into the oven and bake for about 5 minutes, watching carefully, until the cookie has turned a golden color around the outer edge of the circle (the center should remain pale. Note: Have the kids sit on the floor and watch the cookies closely as they can easily burn on the edges! They will love it! Remove cookies from the oven and very quickly lift one of the cookies with a spatula and turn upside down onto a wooden board. Adult needed here, please! 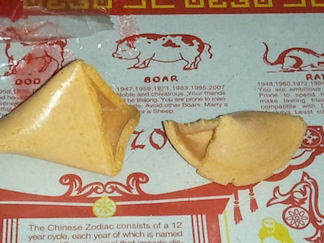 Place the fortune in the middle of the cookie and fold the cookie in half. Place the folded edge across the rim of a cup or glass and pull the pointed edges down, one on the inside of the cup and one on the outside. Stand the folded cookies in the cups of a muffin tin or egg carton until they cool so that they hold their shape. Be sure to mix the cookies up for the kids to make their choices. If you want more cookies, just double the ingredients! According to the Chinese Zodiac, 2013 is the Year of the Snake. Celebrating Chinese New Year can be a blast for kids as well as a grand learning experience! They can learn the appreciation of Chinese history as well as a lot about the culture while having a great time. 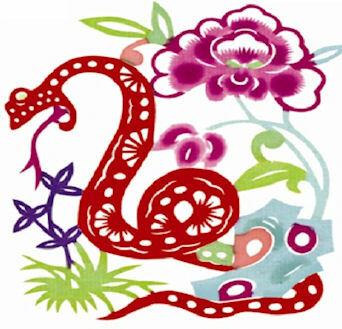 Chinese New Year is sometimes called Spring Festival and is the most important of all holidays in China. There are special foods that are eaten during Chinese New Year and I'll be back with some recipes for you and the kids to prepare for your celebration! It would be fun for you to do a search for Chinese animals for the kids to look up their year of birth and match it with their Chinese animal in the Chinese Zodiac. This is not like fortunetelling and can be a fun-filled research exercise for the kids as they learn about ancient Chinese history. The zodiac sign of the Snake symbolizes traits such as gracefulness, intuition, introspection, materialism and intelligence. Chinese New Year welcomes the Lunar New Year this year on February 10th. The dates of Chinese New Year change every year. 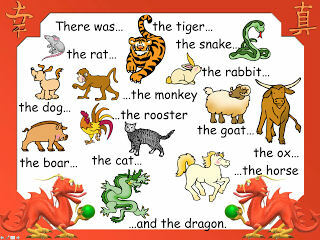 The Snake is the sixth sign of the Chinese Zodiac which consists of 12 Animal signs. 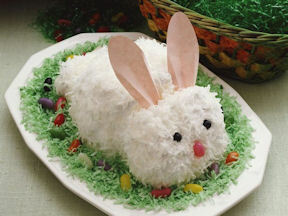 Come back in the next few days for some fun recipes for celebrating and head to the kitchen with the kids! 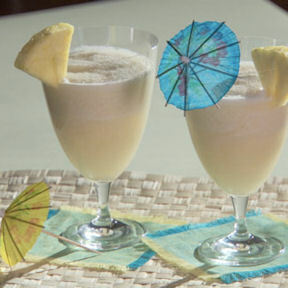 Kids adore fancy glasses and if you pop one of those little umbrellas in "anything" they are thrilled... add a garnish of a slice of fresh pineapple or a strawberry on the side of the glass and... wow... they feel very grown up! So let's make New Year's Eve special and get the kids back in the kitchen. Here's what you'll need for a tasty and fun slushie.. Combine ingredients in a pitcher. Freeze until mixture is slushy, stirring with a wooden spoon. Spoon 2 or 3 tablespoons (or more) into a party glass and add ginger ale... bubbles are fun for New Year's no matter your age! Add some fun New Year's hats and noisemakers (from the $ store) and you have celebrating kids! 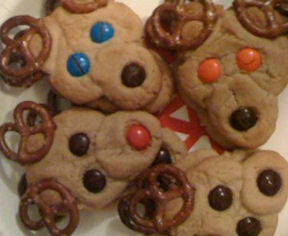 Ho Ho Ho... Reindeer Cookies! 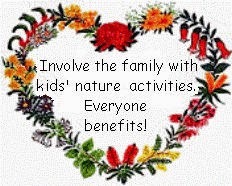 Something easy for the kids to do on Christmas Eve! Do these look like a ton of fun or what? The kids are gonna love 'em! Let's put these reindeer together... 'Tis the season to get kids cooking! Put the cookie dough in the freezer for about 15 minutes before calling the kids into the kitchen (just so the dough is good and firm). Place the chilled cookie dough on a piece of waxed paper and the adult helper needs to cut the roll into 24 slices. Place the slices on a large ungreased cookie sheet. Now for the fun... let the kids "pinch" the cheeks of each reindeer making an indentation on each side that makes a reindeer face! Carefully place 2 pretzels at the top of each slice to form the reindeer antlers. Create the eyes and red nose (it must be Rudolph!) with the M&M's. The kids will love this part! Bake for 8 to 10 minutes or until just golden brown. Remove from oven and cool completely. All righty... these are so much fun to make and easy, peasy! More great gifts that the kids will be so tickled to give with a big grin and "look what I made!" Let the kids... Line a baking sheet with parchment paper. Spray the inside of the cookie cutters with non-stick cooking spray. Line the cookie cutters up on the parchment paper and set aside. Let the kids do the measuring and crushing of the candy canes (they love doing this)! Combine the vanilla chips and sweetened condensed milk in a saucepan. We need the adult helper to cook over medium heat. Stir frequently until almost melted, remove from heat and continue to stir until smooth. When chips are completely melted, stir in the peppermint extract, food coloring, and crushed candy canes. Remove from heat and pour into the cookie cutters and refrigerate for 30 minutes. 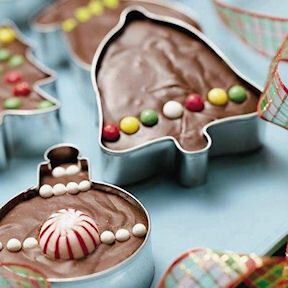 Now the kids can place the cookie cutters in plain or decorative Christmas cellophane bags and tie at the bottom. If you use clear cello bags, let the kids decorate them with Christmas stickers... again, I encourage you to let the kids use their imagination and creativity... ALWAYS! Most of the kids will be out of school as of Friday and goodness knows there's probably still lots to do! 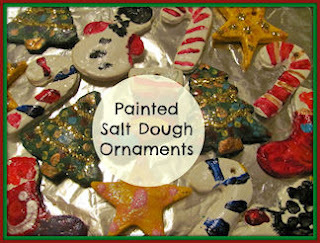 If you want something to keep those little hands busy this weekend, let them make dough ornaments in all shapes and sizes! Even though the tree has more than likely been up and decorated for weeks, the kids will love making these Christmas treasures. They can be personalized and even used as "special" gift tags for Christmas gifts. You think Grandma and Aunt Mary wouldn't love one too? And, with the New Year coming they can make some with a New Year theme... they can be hung like suncatchers in their bedroom windows, given to little friends with a few cookies in a little bag for a "Happy New Year" wish... maybe a new tradition will be created. These easy little ornaments bring out the creativity in everyone and add to the whimsy of celebrating this blessed season. Another great idea is to hot glue a silver safety pin to the back (with assistance from the adult helper) for a little gift. All, adding that very special "it's homemade" touch! Christmas cookie cutters (plus trains, teddy bears, New Year's, Christmas Story... anything in the "favorite" department)! Suggestions for decorating: Glitter of all kinds (kids love glitter); puff paints; 3-D paint; acrylic paints; silver and gold stars... check your craft bins! Note: Have the kids write their names and the date on the back of each creation! Mix all ingredients together. Consistency will be pretty stiff. Add extra flour or water if needed. Roll the dough to 1/8-inch thickness. Cut and shape ornaments. Lift onto a cookie sheet with a cookie spatula. Straightened paper clips work great for poking eyes or adding details. Either take a toothpick and make a hole in the top of the ornament before baking so a red ribbon can be strung through or insert a small loop of flexible wire into the top before baking. Ribbons are great for attaching to Christmas gifts! Bake at 325 degrees for several hours or until hard. Cool on wire racks. Paint with acrylic paints. When dry, spray with an acrylic sealer or melt paraffin in a double boiler and dip the ornament in it. These are great fun... let the kids use their imagination and roll candy canes or add special touches to their Christmas creations. This will keep them busy for a couple of hours while you get some "other stuff" done!